OK, here we go. Everything is ready and we can now see our help file in all it's glory. We are going to compile a CHM help file at this step. 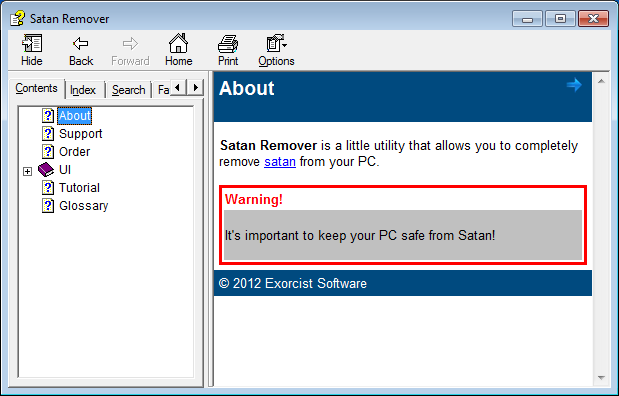 Don't forget to install HTML Help Workshop (htmlhelp.exe) from Helpinator zip package. 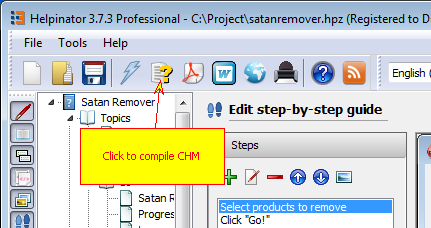 It is required to compile a CHM file. 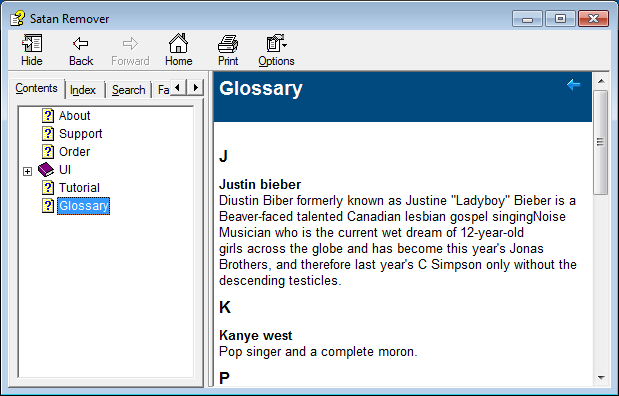 This is our intro topic with a glossary hyperlink and a formatted "Warning" snippet. Our step-by-step guide as a slideshow with navigation.